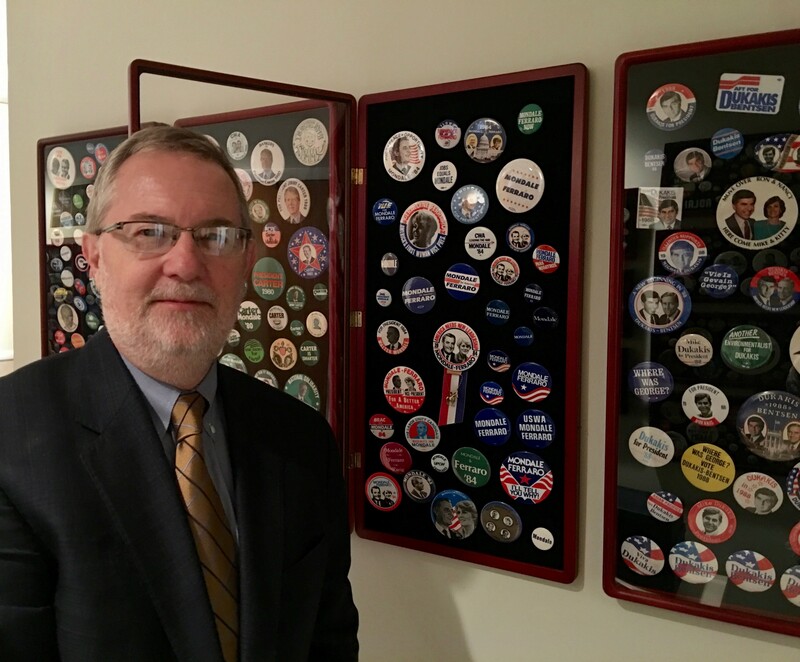 Dr. David Parkyn stands by his wall of collected presidential campaign buttons of losing candidates. Remember who ran for president and vice president against Ronald Reagan and George H.W. Bush in 1984? Sitting around our dinner table, it took a while for my kids to answer. In fact, they were stumped. (Thank you, Siri and Google.) Answer: Walter Mondale with Geraldine Ferraro. How quickly we forget those who ran the high-profile race for the White House but didn’t make it. 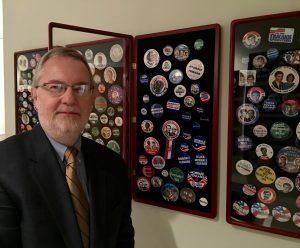 My friend, Dr. David Parkyn, president of North Park University in Chicago, invites guests to peruse a hallway gallery in his home filled with framed campaign buttons, going back a half a century of candidates who won their party’s endorsement, but went on to lose the campaign. According to Parkyn, coming in second place for the presidency is quite an accomplishment. “How many people can say in life that they came in second place for the highest office in the land?” he adds. My visit to his captivating bipartisan collection made me realize how important it is to talk to kids about winning and losing. With this election season coming to a close, it’s an opportune time to have a conversation about trying and losing, for there will be more people who lose their bids for elected office than win at the ballot box. Understanding that losing isn’t the end-all is an important life lesson. Here are five ideas on how to relate with kids about winning, losing and perseverance. Let’s start with the world of sports. In major-league baseball, a .300 batting average is an admirable achievement. That’s only three hits out of 10 tries. That means that seven out of 10 times, a skilled batter returns to the dugout failing to get on base. But he’s soon back in the batter’s box, striving for a hit. Winning matters to kids. Yes — it’s more fun to win than to lose. But healthy competition is what needs to be stressed. Being out there, trying with hope for success counts in the long run. Tell kids of the classic defeats of Abraham Lincoln, who lost eight elections for various offices before ultimately winning the presidency. Remind your child that courage does not mean an absence of fear, but rather doing something in spite of fear or discomfort. In our competitive society, home is an important refuge. 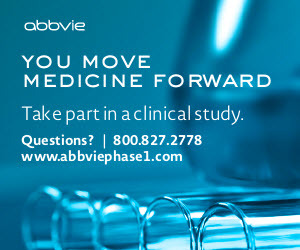 Whether working or playing together, stress cooperation and fun while downplaying fierce competition. No one wins all the time. Learning to win humbly and lose graciously is an important life skill. Who knows, your child may run for president someday. If you kid wins, he or she is White House-bound. If not, the campaign buttons will enjoy an esteemed place on Parkyn’s wall.